I have been using the facilities at Ribby Hall Village mainly for recovery the last few weeks. Running 80+ miles a week makes it hard to do anything else apart from my normal conditioning work in the gym and rehab. Sometimes I think we forget here on the Fylde Coast how beautiful the countryside is on our doorstep. I have been using The Woodland Trail around Ribby Hall Village recently. I love it round there as it’s a great off-road trail and makes you feel a million miles away from the hustle and bustle of everyday modern life. I’ve also tried the new sauna, which is fantastic, as well as the steam room and spa pools. I feel it helps me recover well after training and helps the body to relax. I try to use this twice a week as part of my routine. I have done a couple of the express circuit classes on a Friday lunchtime which are good fun and I feel are a real benefit. To have this facility in the local area is fantastic and all the facilities are of the highest standard and to have them support me is something I’m very grateful for. On my last update I had just recovered from my six week high-hamstring/tendon injury and I had done a couple of weeks of low volume easy running. During the next few weeks the volume increased and I started to include a few sessions. These weeks were hard going and really tough mentally and physically. My body took around three weeks to get used to the demands of running every day and during this period I was picking up various niggles, while adapting to the increased volume. I wasn’t really enjoying my running (which is unusual for me), but I managed to get through this. The training volume is now back up to the levels I am used to. Over Easter I spent a week warm weather training in Portugal with my coach and training group. It was perfect timing for me to push on with my running, now that the injuries were behind me. The weather and running out there was perfect. I managed a 90 mile week with 3 sessions with no injury issues. It makes a real difference running in nice weather and makes it all so much easier! So overall a fantastic trip, plenty of running, food and ice cream! Over the last five weeks I have hit a consistent mileage and my training has been quite good. I have just found it hard to get my sharpness back after the layoff. The speed just didn’t come back as quickly and easily as I would have liked. Maybe it’s just an age thing and after an injury the sharpness just takes a little longer to come back. Racing wise I have competed in a couple of low key events just to get that race feeling back. I did a Parkrun in Bristol while we were visiting family and to be fair it was a disaster. I just had nothing there and the course was tough. Then a couple of weeks later I competed in a 5000m track race for Preston Harriers in the Northern Premier track league. This was in York, conditions weren’t great and it was a solo run for 3rd in 15.56. This was way off what I would expect but the race served a purpose. 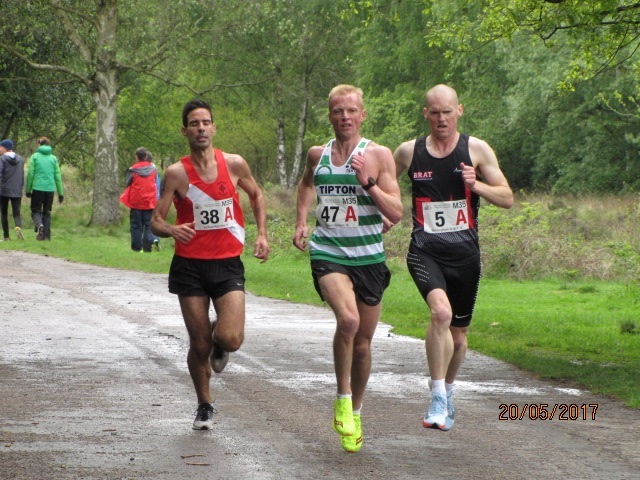 Last weekend it was the National Masters Road Relays in Birmingham for my main club Salford Harriers. I was on first leg and really felt like my old self again. It was a great race to be involved in and I had a real good battle with 2 other athletes with the lead changing hands a couple of times. I just got pipped to the line in 3rd place in 15.19, the same time I ran 2 years ago. The team raced well and the other 5 team members gave it their all and we ended up with a bronze medal and I recorded the 4th fastest time of the day. A move in the right direction and something to work with. It sure has taken time! I am now planning my next few months of racing. I will be competing in the elite men’s race at Manchester 10k this weekend and in June it’s my favourite race of the year, the Welsh Castles relays. After that we’re not quite sure but I will sit down with my coach, Helen Clitheroe, in the next few weeks and have a chat and plan ahead. She has been great the last few months and kept my confidence levels up and really passing on her experience. She’s been there and done it at the highest level and that advice and guidance can’t be beaten. I now feel I am going in the right direction and can get back competing at my highest level again. It’s been a tough few months mentally and physically and at times I have wanted to give up. I have just about kept my head and finished all my sessions. Sometimes you have just got to accept where you are at, it’s not easy but eventually the training will come through. Consistency is key and not every session is going to be amazing but if you can get through and keep pushing on then the fitness will come back! 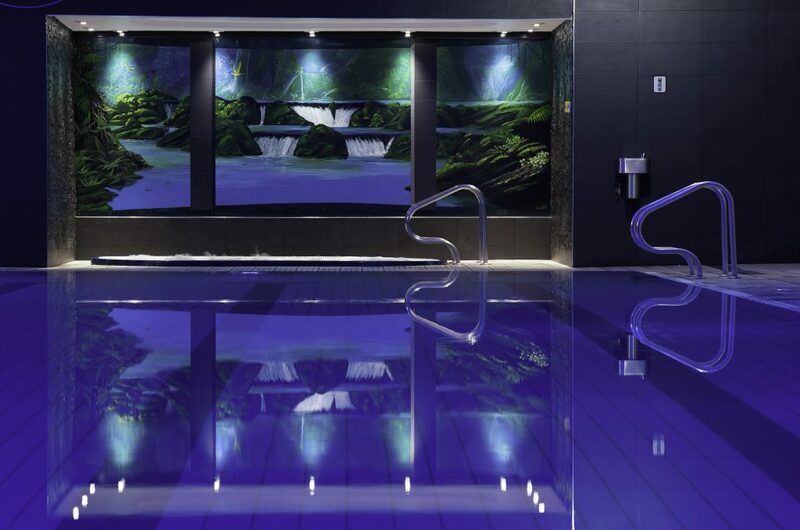 The Health Club at Ribby Hall Village offers a wide range of membership packages to suit individuals, couples and families. Call the Membership Team on 01772 682 000 or visit our website.